I heard Randy Pusch passed away on July 25th. The first time I heard about him/his lecture was several months ago and his video was still on Google Video site. It’s now on Youtube. Make sure you watch it if you haven’t seen it already. He gave this speech at CMU 2008 Graduation a few months ago. I have been thinking about the way he went through the last few months of his life. He has the dignity to accept the fate with grace instead of asking ‘why me? why now?’. And he had the courage to tell people what he’s dealing with. It takes incredible amount of courage to rise above wallowing in self pity and to make the best of the time you have left. As the joker in The Dark Knight said ‘you find out who a person is when he’s about to die’ (I am loosely paraphrasing here). Since I have watched the first video, there is a phrase from the video that I have already incorporated into my life over this past year. Whenever I or someone near me is upset about any material thing, I remind myself and them “It’s a thing, not a person” . So his speech changed the way I see ‘things’ (I believe that will stay with me forever.) Random note: it’s awesome that he taught HCI at CMU. To be honest, all this is coming out from me not just because Randy Paush passed away a few weeks ago. It’s also because it’s August and August makes me think of my late brother who passed away in August 99. He also had the dignity and grace to prepare for his last moments with us without panic, anger or self pity. He, too, kept working on his dreams and things he cared about up until the last minute. He didn’t give up and stopped trying even though he knew how little time he had. He finished his advanced certificate for computer science while he was getting chemo in the hospital. His team project was basically implemented in his hospital room. (His team mates were the best people who obliged him and didn’t tell him that they couldn’t do the project with him cause he was in the hospital.) The weekend before he passed away, he was trying to convince the doctors and my parents to let him be part of his university’s rowing team for the next race since he’d been doing better for a while. 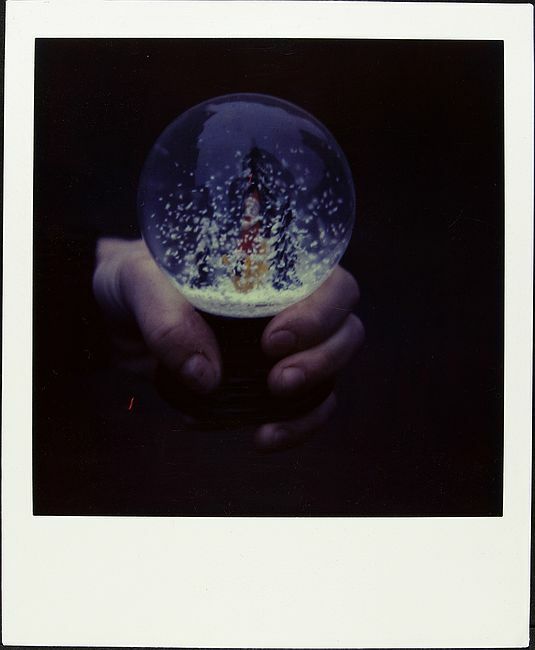 I am going to end this post with the link to Jamie Livingston who took a Polaroid a day for 18 years. The pictures from last month showed that he married his wife right before he died and that he was surrounded by his friends in his last days. He’s another person who kept on living up until the last minute. this is the Polaroid he took on the day I was born. Things don’t matter. People do.